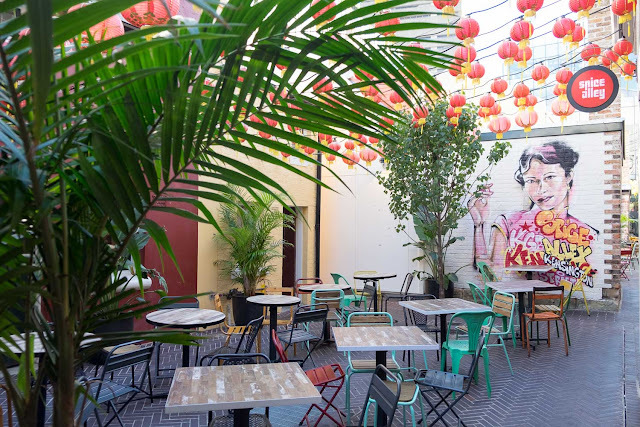 Alex Lee Kitchen is the first stall off the Parramatta Road entrance of Spice Alley. The narrow focus here is the Singaporean rice, noodles and roti dishes of the hawker stalls of the island nation. The eating spaces in Spice Alley are eclectic, from open outdoor seats to spaces inside converted terraces. During the lunch time rush you notice happy faces on the punters, but when it's quiet the hokey asian theme of the decorations is more apparent. 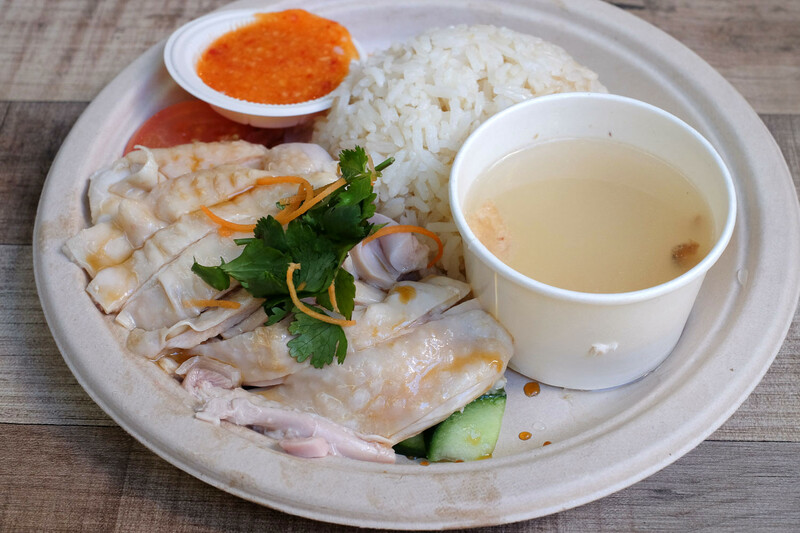 First up, one of our favourite Singaporean dishes - Hainan chicken rice - $11. Oh no, forgot to ask for a thigh piece, we get a breast piece which is ok but dryer and less flavoursome than a thigh piece. Always ask for a thigh piece! Next time we remember to ask for a thigh piece - it's super moist and tender, and the flavours go all the way through the flesh, very happy. 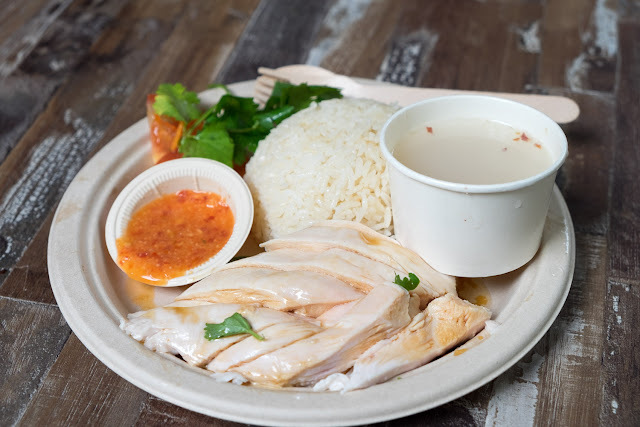 There's a good turnover here so the chicken rice dude can get on a roll, it's pretty good. Chilli sauce but no green sauce. Katong Laksa, $11. The much debated laksa for original and best has a version here. The curry sauce is thick, with moist chicken pieces and a few crisp tofu pieces. No other sort of veg although the menu does mention vegetables. It probably won't make any best of Katong Laksa lists but it is creamy and curry rich enough for a laksa lover. Nasi Lemak with Beef Rendang, $13. This is a good serve of beef, more gravy in style than the drier types which probably makes it easier to heat and serve. A decent side of ikan bilis and a sweet pineapple achar (pickle) and half a goog for extras. Alex Lee Kitchen is the first stall when you enter from the Parramatta Rd entrance, 24 Kensington Street. Don't forget the stalls are card only, if you want to pay cash you need to pay at the kiosk and get a voucher.